By midweek, I'm tired, stressed and quite frankly looking a bit rough to say the least. So in a bid to cheer myself up and sort my skin out I decided a facial was in order, using products that breath life into the skin, taking it from dull and drab to soft, supple and bright. Gotta love a good pamper, eh? Firstly, I start with cleansing the skin using my beloved Oskia Renaissance Cleansing Gel , (review here) although it's called a cleansing gel, it's in fact a balm that turns into a silky oil when massaged into the skin - and let me tell you right now it massages in like a dream! What's more it's packed with quality ingredients that really benefit the skin such as Vitamins A, C & E, Omega 6, Starflower Oil and Pumpkin Enzymes. Pretty amazing huh? I apply a good dollop of this over the skin and I like to really take my time working the product onto the skin before removing it gently with a warm, damp flannel. Skin feels cleansed yet nourished. Next a good dose of exfoliation. Enter the Oskia Renaissance Mask. Review here. Another Oskia product I hear you say. I'm definitely becoming a bit obsessed with this brand and I'm currently lusting after their Bedtime Beauty Boost. But I digress........this little skincare gem contains natural fruit Acids (AHA's) including passion fruit, lemon, grape and pineapple to gently slough off dead skin cells and activate cell renewal. The results? Brighter, healthier - looking skin. Basically ten minutes of this mask and I feel like a new woman! And you won't believe how smooth your skin feels! Lastly, it's time to add the moisture back into the skin and my current pick for that is the newly purchased Rodial Dragon's Blood Hyaluronic Mask. I know what you are thinking - DRAGON'S WHAT? But hear me out. Rodial are known for their controversial names and "the dragon's blood" is a tree sap extract, sourced from the Sangre de drago tree in the amazon. That's a relief right? This product can be used two ways ; you can either apply it as quick 10 minute fix or as a leave - on mask for a deep moisture injection ( my favourite way). This has a gel-like consistency and glides onto the skin easily and smells delightful too - a mix of fruit and rose. Once washed off in the morning my skin is softer, smoother and plumper. And best of all? It doesn't irritate my skin like the Origins Overnight Mask. Bonus! Though I do have to say I could probably find a cheaper hydrating mask that delivers the same results but for now I'm happy using this. 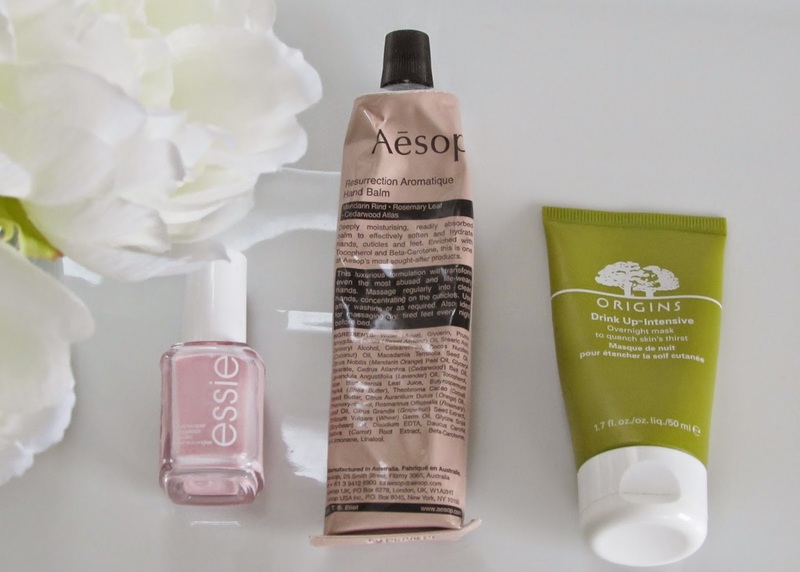 What products do you use for a midweek pamper? To be honest my makeup is always minimal and most days I'll run out of the house without a stich of makeup on however when I feel like wearing some slap this has been my go-to look. Just because it's winter doesn't mean I change up everything, but I'll be lying if I said I didn't get excited of the prospect of rocking a berry lip. I still wear my tinted moisturiser because a dewy skin is everything to someone who has dry skin especially in the colder months. After I cleanse and moisturise I slap on the Nars Pure Radiant Tinted Moisturiser. This sheer base has quickly become on of my favourites, I love a bit of glow and this product certainly provides my skin with a beautiful, healthy glow that I just can't get enough of. I find this has a lot more coverage than your regular TM which is great but it's still natural and skin-like. In terms of application, more often than not I just use my fingers to apply because it's just so easy. I am in the shade Seychelles and is a pretty good match for me if I do say so myself. 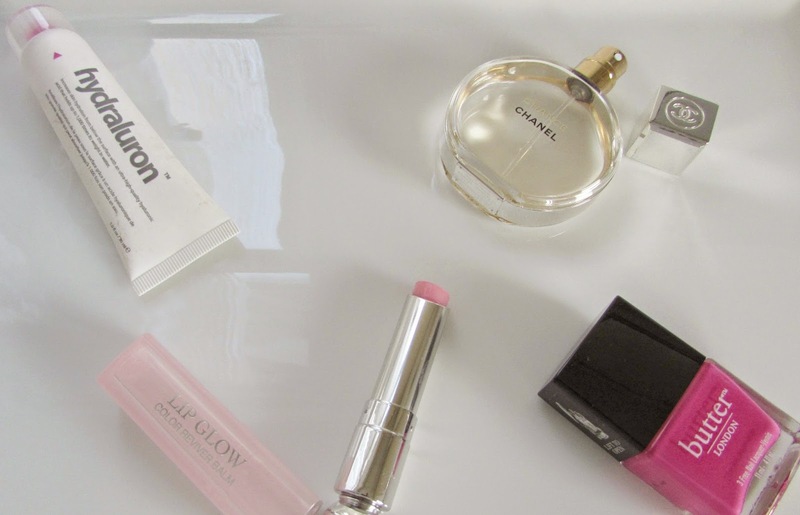 At thirty pounds its not cheap but for dewy, luminous skin it's so worth it. I skip concealer most of the time not that I don't need it because trust me I do ( my eye bags have reached zombie status ) but I'm just too lazy to be faffing around with concealer, disguising dark circles and banishing bags. 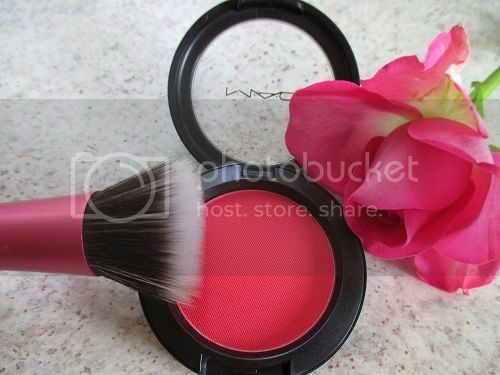 Next I like to apply a light dusting of the Nars blush in Dolce Vita for a natural flush of colour onto the cheeks. This blush is a dusty rose hue which really compliments my brown skin tone and just looks natural on but only if I use a light hand and be gentle with application. Otherwise I can look a bit crazy ...lol! It also pairs really nicely with the berry lip. 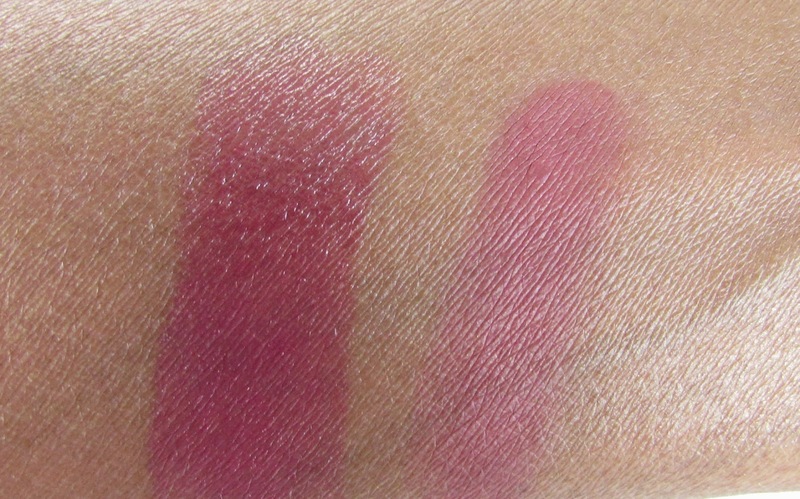 L-R Dior Paparazzi and Nars Dolce Vita. Next onto the eyes, I love applying lashings of mascara because it just opens up my eyes and makes me look alive ya know? Le Volume de Chanel Mascara is my favourite one because it just delivers on it's volumising claims and gives me full, long thick lashes. This is a dramatic mascara so if you like your lashes to look natural then you won't like this but for me personally it's everything! It also saves me time in the mornings too because you apply one coat and it looks like you have done two. Love. 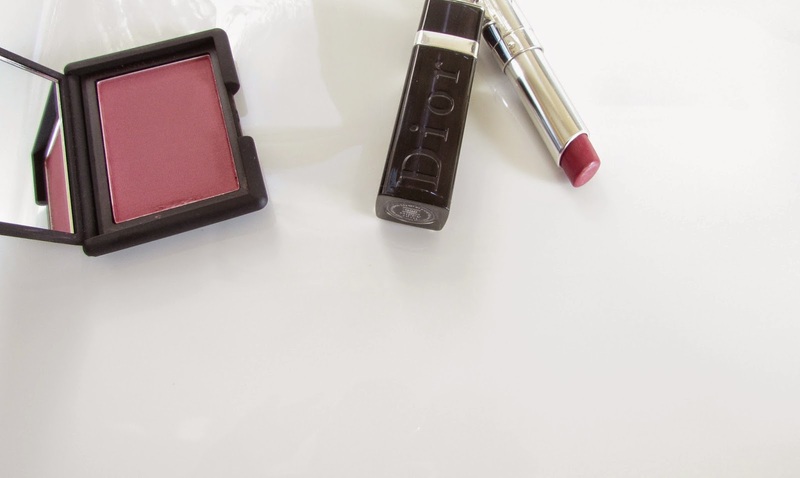 For lips I've been loving the Dior Addict Extreme Lipstick in Paparazzi, (isn't she a beaut)?. A soft, creamy offering that is glossy yet hydrating on the lips. Obessesed isn't the word. This is a wearable berry shade because the formula is sheer so it's not a full on bold lipstick that I'll be too scared to wear outside of the house. I adore the balmy texture, it applies so smoothly and glides on the lips like a dream. The staying power isn't amazing though, it lasts about 2 to 3 hours which actually isn't bad considering the balmy texture and I don't mind whipping it out of my bag to reapply. So that's my minimal routine, super easy and quick, basically four products and bob's your uncle! Now tell me do you prefer the minimal look or are you more likely to do the whole shebang? 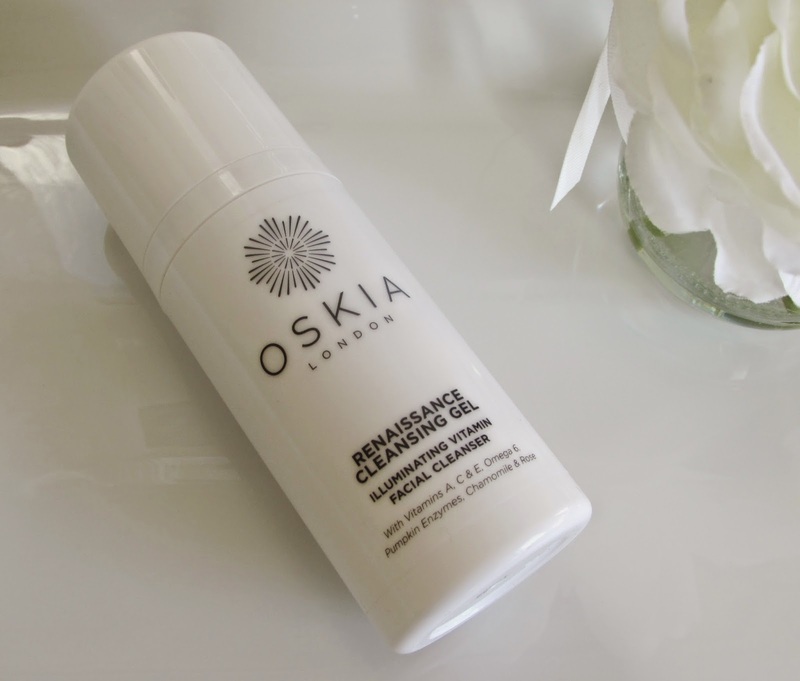 I can't even begin to describe how much I love the Oskia Renaissance Cleansing Gel. It's everything to me, everything I tell ya! Although it's called a cleansing gel, it's in fact a balm that turns into a silky oil when massaged into the skin - and let me tell you right now it massages in like a dream! The texture ... oh my the texture is just beautiful. I apply a good dollop of this over the skin and I like to really take my time massaging the product onto the skin before I remove it gently with a hot, damp flannel. My skin is left feeling cleaner, softer and brighter. Oh and it's bright orange in colour - what's not to love! My skin was in desperate need of a little love and this cleanser really did the trick. This little gem is packed with quality ingredients such as Vitamin A which improves the appearance of sun damaged, dry and mature skin. Vitamins C &E which help protect the skin against free radical and environmental damage. There is also starflower oil which improves elasticity and firmness. If that wasn't enough it also contains Pumpkin Enzymes to remove dull skin cells for a brighter, more radiant complexion. So as you can see this product is loaded with amazing ingredients that really benefit the skin. If you can't tell I'm head over heels in love with this product - it's an absolute pleasure to use and I'm so glad I caved and bought it. This cleanser is suitable for all skin types so if you had your eye on it for a while it might be worth checking out when Cult Beauty have a discount going on which is when I bought mine. It retails for £28, not cheap but the quality of this cleanser makes it worth every single penny. The only negative thing I would say is that you can't see how much you have left because of the opaque packaging but hey seeing as everything else is so good I can't really complain too much. It's now it's over to you - what cleanser is currently floating your boat? I can't quite believe we are in February (January flew by didn't it?). I guess it's true what people say the older you get, the faster time seems to go. 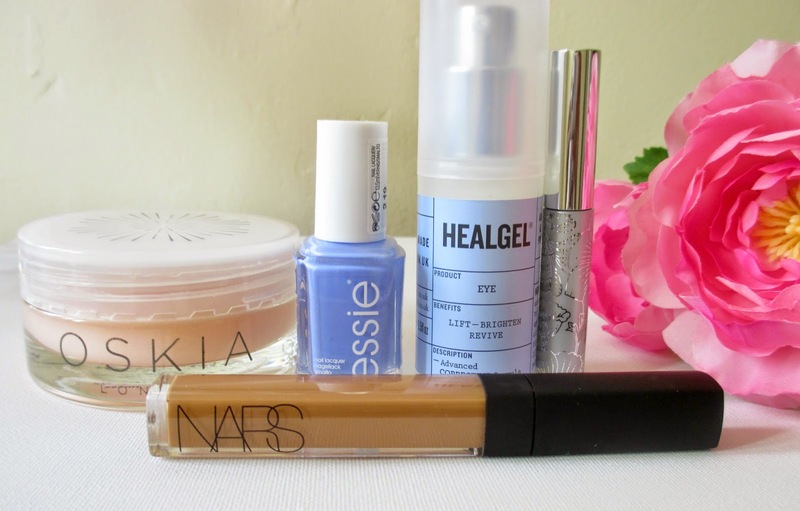 Anyway, enough of me rambling and let's get into today's post which is a quick rundown of products that are currently floating my boat. I absolutely love this product and this is actually my second tube since I discovered it from Caroline Hiron's blog. This little gem is a hydration serum that contains Hyaluronic Acid which is an ingredient that draws moisture to the skin. Hydraluron is designed to be used pre-moisturiser because it acts like a magnet to anything you put on top of it and locks in the hydration. It leaves my skin feeling soft, smooth and plump. Love it, worth every single penny in my opinion. Chanel Chance has been my go-to perfume recently, and I just can't get enough of it. I am rubbish at describing scents, but there's notes of jasmine, patchouli, pink pepper, white musk, amber, and vanilla. Basically, if I could, I would bathe in this. It's outrageously expensive though - in fact I nearly choked when the sales assistant told me the price, so I've been trying to use it sparingly but failing miserably as I just can't stop spritzing. If you are near a Chanel counter, you must go and have a sniff of this. I've rediscovered and fallen back in love with my Dior Lip Glow, which is a sheer balm that is designed to work with the chemistry of your lips to create your own unique shade. I know it sounds gimmicky, I know, but it works! On me it gives a natural pink tint to the lips. 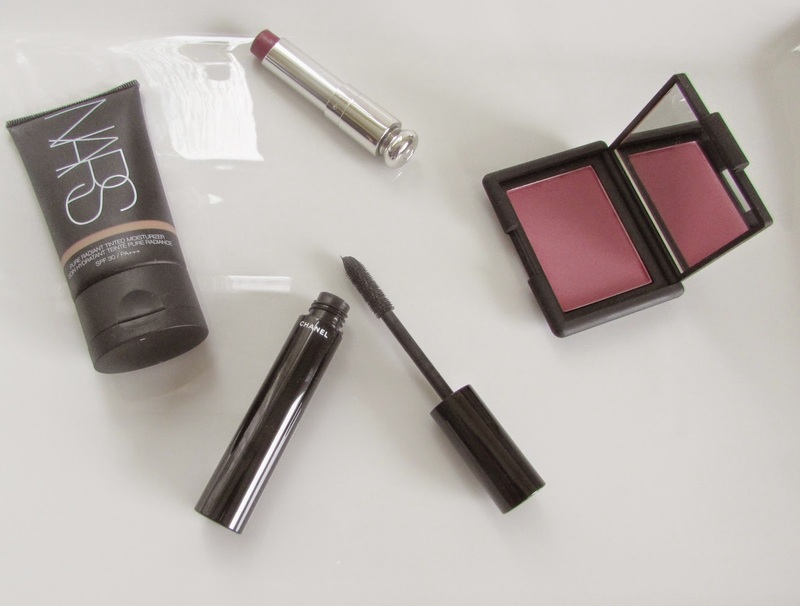 This is the perfect everyday lip colour for me because it's just so easy and fuss free. It's also super moisturising too and is enriched with mango butter. Oh and how pretty is the packaging? I love taking it out of my bag and reapplying. I can't be without it now (so dramatic) it's become a must-have product in my stash. My all-time favourite nail polish - yes this has toppled Essie Mint Candy Apple off the top spot (sorry Essie.) My love for this lacquer has been well documented on my blog so I won't harp on about it too much, but I will say its the perfect summer colour. Yes, I know we are in the dead of Winter right now which is all the more reason I pop this colour on to brighten up a grey and dreary day. Not only is this fuchsia shade absolutely stunning but the formula is amazing too making application a doddle - two coats of this polish and bob's your uncle! It's also worth noting that Butter London are a 3 free company meaning that they do not use any harmful ingredients and their lacquers are free from Formaldehyde, Toluene and DBP which is a big plus too. The Oskia Renaissance Mask has been on my wish list for a while now - but the eye- watering price of £48.50 always put me off however I couldn't resist any longer and finally took the plunge and purchased it - don't judge me! What can I say I am a skincare junkie and felt I needed it in my life. You guys understand right? I 've always been into skincare and recently upped my skincare game because I'm 29... I'm not getting any younger so it's definitely time to bring in the big guns - you know? I use this mask once a week, (usually on a Sunday) when my skin is looking dull and in need of a serious radiance boost. The Oskia Renaissance mask is enriched with Natural Fruit Acids and Papaya Enzymes which exfoliate the skin to reveal a brighter more radiant complexion. Sounds great right? The mask is peachy pink in colour and has a gel-like consistency. You actually don't need a lot of this product and a little bit goes a long way. I massage this onto a cleansed, dry skin for 10 minutes. The mask turns white once properly applied. It tingles quite a bit, so gals with sensitive skin heads up. After it's worked it's magic for 10 minutes I add a little water to my finger tips to massage my face again in order to activate the second stage where it turns into a milky consistency and then I rinse off completely with water. Afterwards my skin is instantly brighter, feels oh-so smooth and has a healthy glow. What more can I ask for? 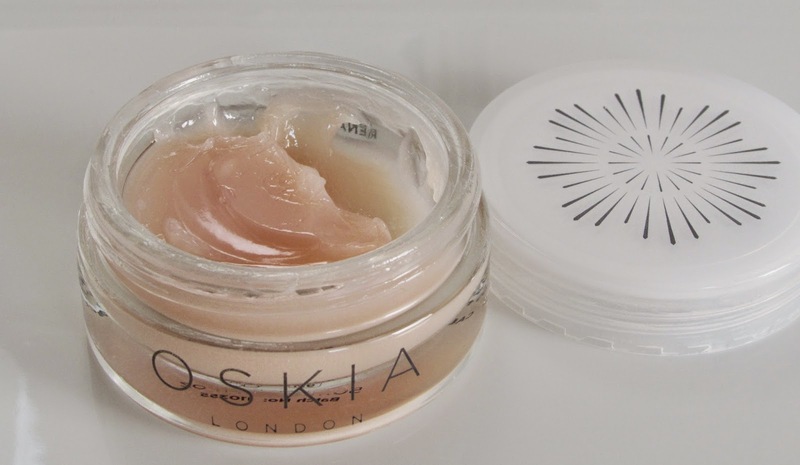 It's worth noting that Oskia are 98% natural and their products are formulated without parabens, sulphates, silicones, artificial fragrances, colourants, Proplyene glycol - which is always a big plus in my book. One thing I would say though is that on a couple occasions I managed to massage the product too close to my eye causing it to go a little red. It didn't stay red for very long but I still wanted to let you guys know. So the big question is will I repurchase? To be honest, no. As much as I like the results I don't think I can justify purchasing it again so now I am on the hunt for a cheaper AHA based mask.... any recommendations? 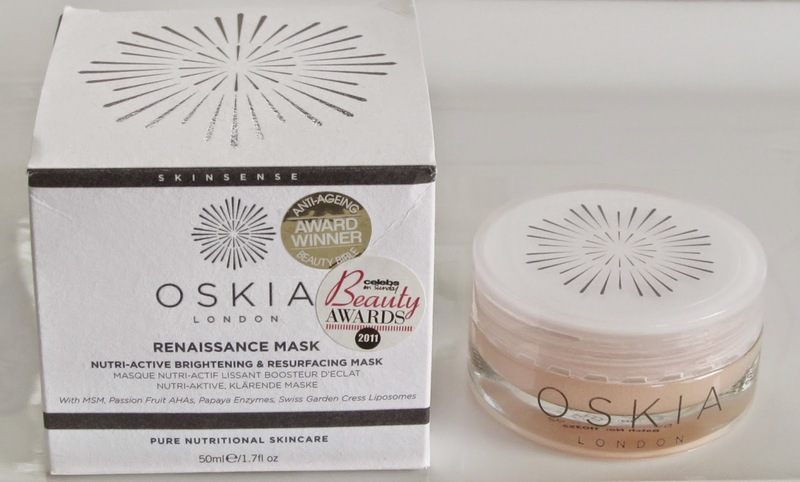 Have you tried the Oskia Renaissance mask? What mask are you loving right now? So you buy a beauty product, you can't wait to use it.....then it goes and breaks your heart. Don't you just hate that?! 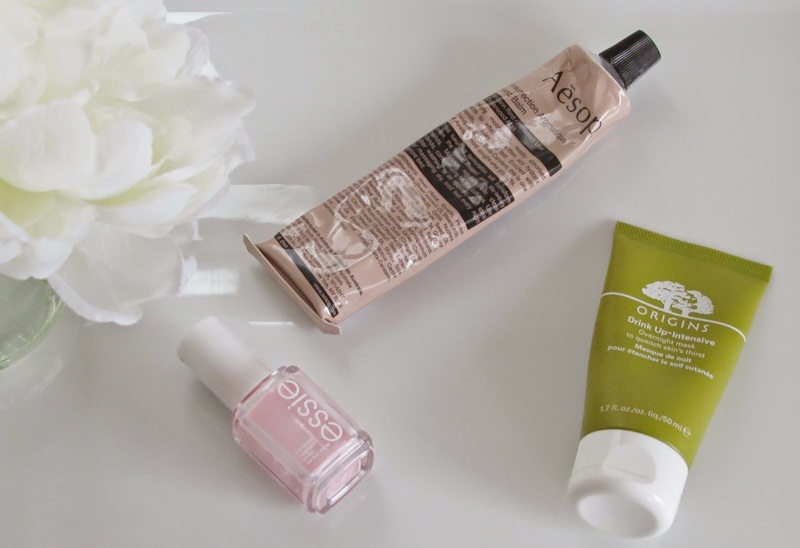 I know I do... so without further ado here are products I regret buying. This is such a pretty shade in it's bottle but unfortunately that is where it should stay.....in it's bottle. As sadly, the formula is just plain awful: sheer, watery and takes three coats to be opaque. Three coats! Ain't nobody got time for that. Such a shame as I bought this especially to wear to a job interview, needless to say I did not end up wearing it. I don't dislike this product, but the smell is just far too strong for me. It contains Mandarin Rind, Rosemary Leaf and Cedarwood Atlas. The strong scent is so overpowering.....its like my hands have been drenched in lime juice! In hindsight I should have tried it out in a Aesop counter before I bought it. If you're like me and are a bit funny with scents, try and get a sample first before you part with your hard-earned cash. Although this hand balm leaves my hands feeling soft, I just find it too expensive for what it is and feel it does not warrant the high-price tag especially as I have tried hand creams from the drugstore that have been more hydrating. This mask is one of the most raved about skincare products in the blogging world, that I thought it was going to be MAGIC. It soooo wasn't. Origins claim that this mask will quench skin's thirst, while it is hydrating it also irritated my skin big time! When I have read reviews of this mask people say slather it on, don't listen to that advice I REPEAT DON'T LISTEN. Because I did apply a lot of this mask and that's probably why my skin got so irritated but trust me you don't a need a huge amount of this product because it's a thick- textured mask and a little bit goes a long way. Oh and about the scent? It's just ok and definitely not as amazing as everyone says it is, in my opinion. Recently, I was reading Paula Begoun's website, Beautypedia, and she doesn't rate this mask at all in fact she gave it a poor rating, stating that "this product has high amounts of fragrant oils that are potent skin irritants." She also goes on to say that this isn't a mask to wear overnight or even for a few minutes. Wow. Wish I read that before I slapped this dreadful mask on. I should have known better to be honest, because I never have luck with Origins products but I thought this one would be different. How wrong I was. My advice would be to stay away from this mask if you have sensitive skin......or skin in general for that matter. Ok, now its your turn. Any products you've been bitterly disappointed by that I should know about? How do you deal with a stressful situation? For some people it's breathing in and out, for others it's counting to 10, for me it's shopping up a storm. That's normal right? Well that's exactly what I did last week after my interview. The first place I hit up was the Nars beauty counter in Selfridges and bought the highly coveted Radiant Creamy Concealer in the shade Amande. Everyone raves about this so I thought it was about time I tried it to see what all the hype is about. Then because I can't be in a Boots store without buying a nail polish ( I really have to do some about that ) I bought Essie Bikini So Teeny, a pretty cornflower blue with subtle shimmer. OH but I didn't stop there, whilst in Boots I also repurchased the Clinique Bottom Lash Mascara. 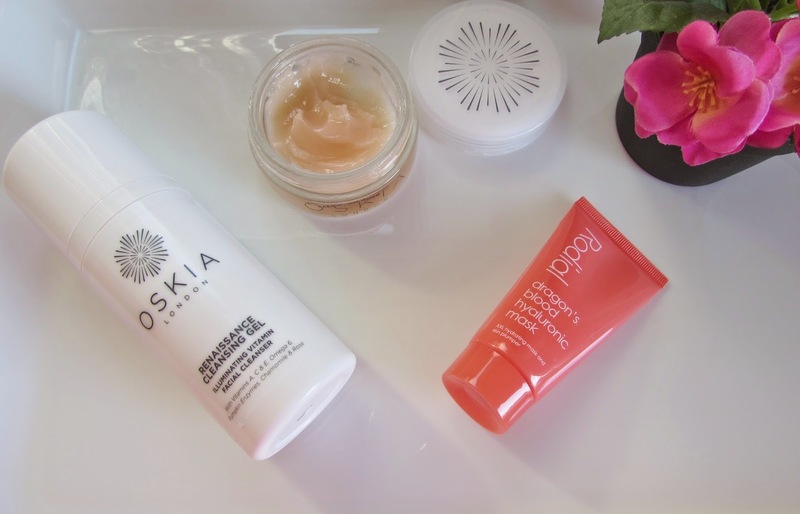 To top it off I also placed a cheeky but really essential cult Beauty order for the Oskia Renaissance Mask and the Heal Gel Eye which I had been lusting after for ages and being the skincare junkie that I am, it was only a matter of time before I caved and bought those two products. Reviews will follow after I have had time to test these products out - but tell me have you been buying anything? Any good purchases? let me know in the comments. Welcome to A Makeup Habit. I am a twenty something year old living in London who has a passion for makeup and beauty.